As a personal trainer, I can honestly say that this question is probably the most frequent question I am asked. The reason behind it is that everyone at some point of his/her life will want to lose fat. There are two usual scenarios people face. The first one being that they might have just finished bulking, and realized that they went overboard with their food intake, and now have to suffer with a very high body fat percentage and excessive stubborn visceral fat. The second being that the person just decided to transform his body and needs to lose fat to look better. Anyway, whatever your reason is, I can confidently and happily tell you that you can lose that fat. 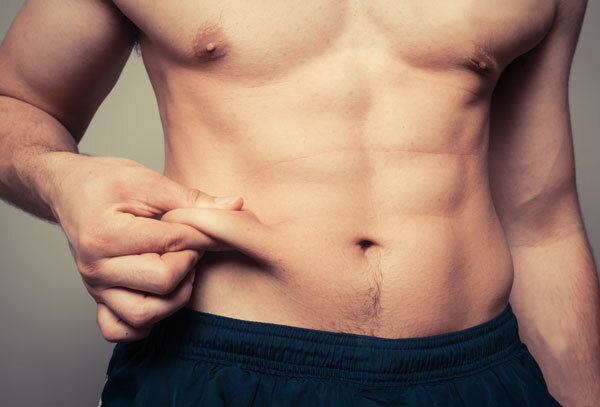 In order to lower your body fat percentage you will have to follow three steps. The first one is having a proper diet, the second one is following a weight training routine and the last one is to incorporate cardiovascular activities in your daily life. I will therefore divide this article into the three different steps for convenience. When you find your BMR remove 500 calories from it and that will give you how many calories you should be consuming a day. Now that you know how many calories you should intake, let us calculate your macronutrient division. Proteins are crucial to bodybuilding as they are used to build up muscle. You should not consume too much protein in one sitting as you might feel discomfort. Carbohydrates are used to fuel your body with energy and glycogen, so you can lift weights and repair muscle. Fats are necessary to produce hormones in your body that will aid to the recovery and production of muscle. I do not recommend Saturated fats and Trans fats although, I do recommend Polyunsaturated and Monounsaturated fats. Yes that’s right not all fats are created equally. Some fats like saturated fats are not good for you as they increase LDL cholesterol unlike unsaturated fats that increase HDL cholesterol. Dietary fibers, sugars and complex carbohydrates are all carbohydrates. I strongly recommend you not to take in too much sugar as this can be harmful to your body. Complex carbohydrate and dietary fibers on the other hand are beneficial to your body. The supplement industry has revolutionized bodybuilding. Yes that is right, a single pill or two can provide you with all the vitamins and minerals you need. That is pretty neat considering you won’t have to eat a ton of fruits like bodybuilders used to do back in the days. Here is a list of supplements that I recommend you to buy in order to supplement your diet. I would like to stress the word supplement here; supplements should absolutely not be used as a meal replacement!